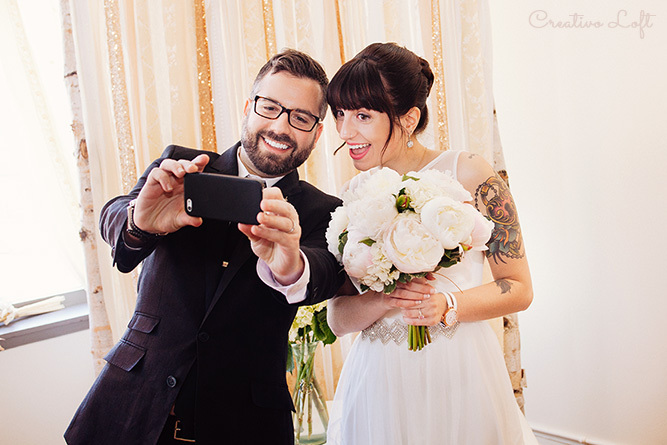 Artistic couple Amy and Jason celebrated their intimate June wedding at Creativo Loft near downtown Chicago. 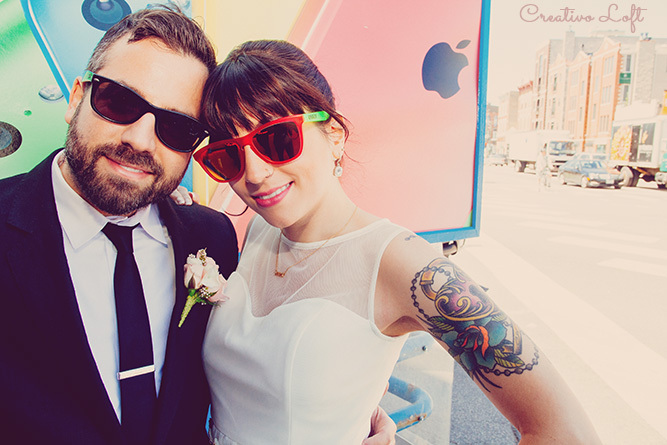 We loved this couple's play with colors and city elements. 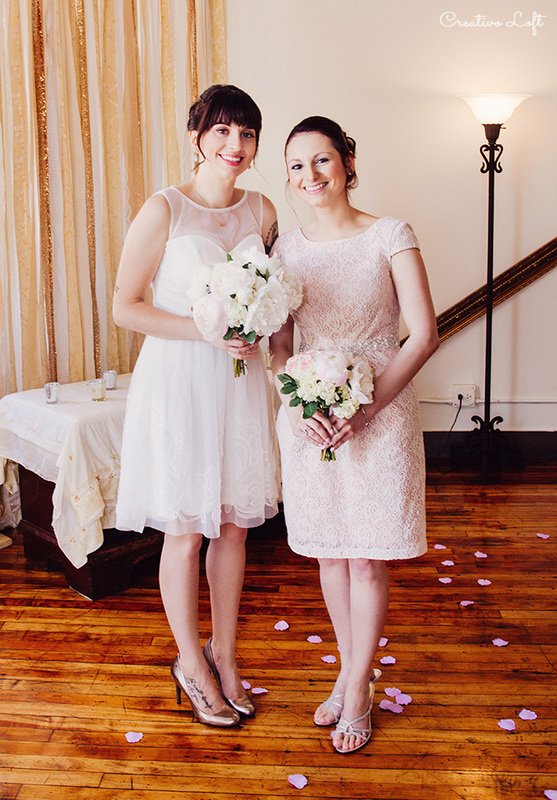 Bride Amy's short dress with art deco bejewled belt was adorable. 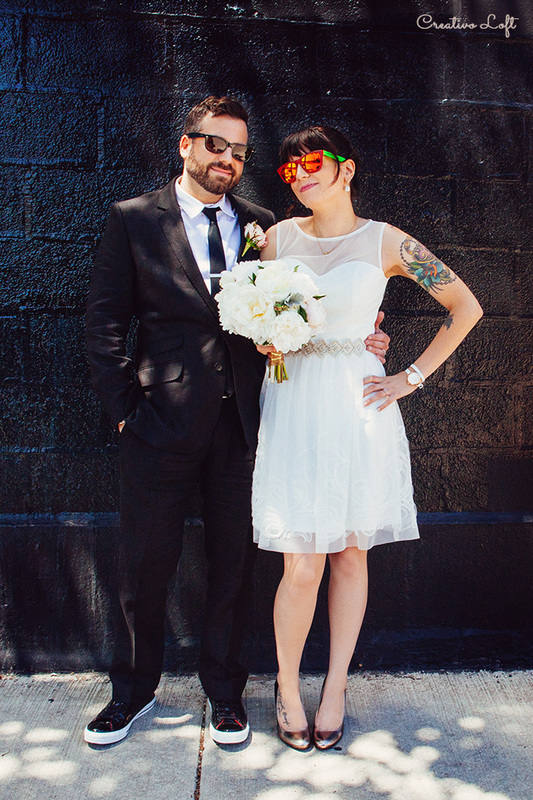 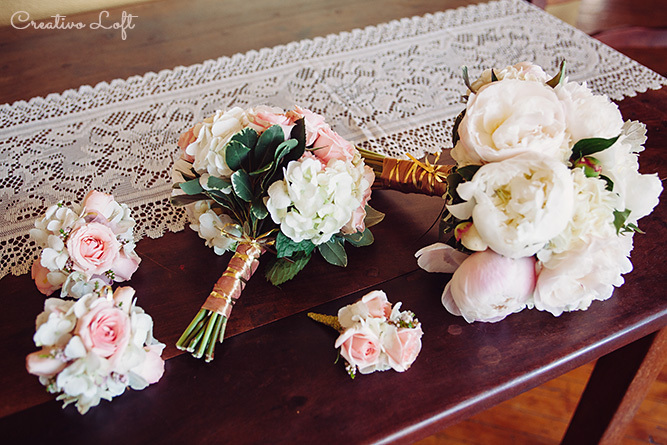 The soft blush pink flowers mixed with vibrant fun sunglasses, along with the urban city enviroment outside of Creativo Loft, were the highlights of this hip small wedding celebration.